Art Burgess serves as the Director of the Preconstruction & Estimating Department of Centaur. His extraordinary talent for detail, expertise with estimating and unsurpassed willingness to “work hard to get it right” are undeniable.During the conceptual and construction stages of all Centaur projects, Art prepares detailed yet straightforward budgets while leading a team of equally qualified individuals through the estimating process. Utilizing his ingenuity and creative capacity, Art works closely with the Project Team to ensure quality, on-time completion and satisfaction of budgetary restrictions without compromising functionality or design. He served as Project Manager for several key projects at Centaur, including a custom residence at 1515 N. Astor in Chicago, IL (Booth Hansen Architects) as well as the new 40,000 square foot, state-of-the-art facility for the National Hellenic Museum (RTKL Architects). Art began his career in the industry at Custom Climate Systems as a union sheet metal worker. He quickly rose through the ranks becoming a Field Superintendent in charge of 20 employees and was integral in the process of the company’s growth to more than $6 million in sales annually. 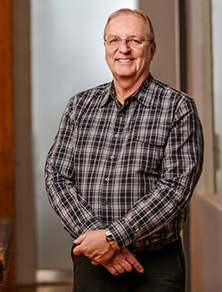 Art’s next move in the construction industry was to Harbour Construction, where his role included Estimating and Project Management. Art’s estimating expertise and ability to develop and execute contingency plans were vital in keeping projects he worked on within their budgets. Throughout his career, Art has been responsible for over $280 million worth of work including Ha-Lo Corporate Headquarters (now Shure), Precise Technology Clean Room and Office Additions, Oak Brook Library, and Potlatch Warehouse & Distribution Facility. As Project Manager for the Precise Technology Additions, Art assisted in the redesign of a life safety system after the initial scope and code requirements were changed. Despite this setback, the project was still completed on time and within the budget. While Art was estimating the Potlatch Warehouse & Distribution Facility, he was able to save the client over $200,000 with the elimination of smoke curtains for ESFR, a part of the scope Art discovered through much diligent research was not necessary for that particular project.